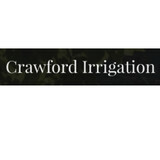 Crawford Irrigation is a full service irrigation company with extensive experience in a wide range of water system applications. We possess a vast array of capabilities to bring any challenging project to completion on time and on budget. Conserva Irrigation is a division of Garnet Valley Farms LLC, which allows us to oversee and manage your irrigation system along with your property's lawn and landscape needs. 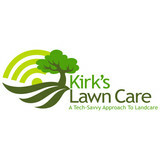 Kirk’s Lawn Care was established in early 2003 by Kirk Brown. Since the very beginning, building lasting customer relationships and exceptional quality of services at affordable prices has been the core of the company. Our never-ending commitment to our customers is why they continue relying on Kirk’s Lawn Care year-after-year. Kirk’s Lawn Care is one of the fastest growing landscaping companies in the country. The tremendous growth the company is experiencing is largely due to the cutting-edge and innovative processes and technologies that Kirk’s Lawn Care is using to educate, communicate and assist throughout the customer experience. That same philosophy has also been adapted for internal use within the company to assist employee scheduling, training, job routing, invoicing, equipment management & maintenance as well as other areas to help streamline processes to obtain high levels of efficiency. Kirk’s Lawn Care is paving the way for a more modern landscaping industry and it hasn’t gone unnoticed. Kirk’s Lawn Care was named one of the top 12 landscaping companies in the country by Total Landscape Care magazine for 2015. Kirk’s Lawn Care is community-focused through their various community service initiatives that build brand-awareness as well as educate the public on proper landscaping practices through the use of monetary, plant and labor donations each year. Gardens By Danielle offers custom garden designs that work for your property. We specialize in residential property, but we also do some commercial properties, too. We also offer installation, maintenance and seasonal container services. Fully licensed and Insured. Evergreen Irrigation is a full service lawn and garden sprinkler company whose focus is to provide the best in customer service. We use the latest equipment to help conserve water all while keeping your landscape looking its best. Lotus Mission statement The main objective of Lotus Sprinklers and Ponds is to provide the highest quality products and services to all clients with irrigation and pond needs. We strive to provide individualized attention to our customers, offering the products and services needed for their projects. We aim to develop a close connection with our customers, so consequently we are able to successfully provide the best quality products and services. Lotus is staffed with individuals who are knowledgeable with the products we sell, so we may provide proper installations and service. 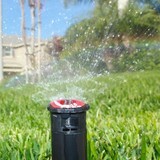 Lotus has extensive years of experience in the Irrigation and Pond industry. Lotus Irrigation Systems understands that customers need more than just a contractor where the customers simply hire for their installation needs, but are hiring a quality company that guarantees quality workmanship. Customers need a positive interaction and relationship with Lotus so their questions can be answered, obtain up-to- date literature, and provide the latest and most efficient products available. As a result, Lotus will combine the sales of products with the lowest mark up and a fair rate for labor, so customer service can assure that their needs will be met the most efficient way. We at Lotus, take pride with the understanding of both irrigation and pond installation and service, so that we can meet and exceed the satisfaction of our customer’s needs. Lotus believes that although services and products may be similar, every customer’s needs are unique; therefore, Lotus provides individualized attention and service to every customer. We pay close attention to the detail of each and every customer’s particular projects, and give them peace of mind by delivering the necessary services finished on time. Weed Man provides environmentally responsible fertilization, weed control and integrated pest management services. For the past 45 years, Weed Man's promise has always been the same: We treat your lawn as if it were our own and provide you with honest and open communication. For over 45 years, Weed Man has strived to create outdoor yards and landscapes that you call home. Our integrated services provide you with a peace of mind that allows you to unwind in the comfort of your yard, knowing that you've created a safe and healthy environment for entertaining your neighbors, playing catch with your kids or letting your pets romp carefree through the grass. Our professional lawn care services also result in increased property values, a must in today's economy. Terra Landscaping has been fertilizing lawns, beautifying landscapes, and giving our customers the nicest lawn on the block since 2003. Locally owned and operated, our team is overseen by a certified arborist and has over 50 years combined experience in lawn care and plant health. We putt the customers needs first and work directly with homeowners to help them realize their home improvement dreams. That and a penchant for hiring only true “green thumbs”; all of our work is done by Terra employees; lawn care technicians who are state certified, licensed landscaping professionals. We leave the sub contractors to our competition! So if your interested in letting the lawn care professionals maintain your turf trust the folks at Terra and contact us today! Licensed and insured, The Home Turf Pros is the premier lawncare service operating in the Bucks County area. With our highly experienced & motivated lawncare technicians, our quality control is second to none while maintaining a competitive price-point that any homeowner or business can afford. We are one of the few in the area to offer lawn striping for our residential clients, which gives their lawns stripes that are typically only seen on baseball fields and golf courses on television. 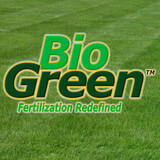 Our other services include mulching, seeding, entire lawn renovation, brush clearing & disposal, etc. Senior discounts, new customer discounts, etc. are all the more reason to call for a free estimate. We promise a response within 24 hours. As a consumer, you have nothing to lose by contacting us! All major credit cards accepted (via Paypal). Since, 2004, we are a family owned & operated business. Unlike most lawn care companies, the owner is the one doing the work or along with the workers so you can expect a higher quality of work in your finished project. In addition to the maintenance side of gardening, Downingtown, PA gardeners can help you with garden design and choosing specific plants and grass types for your climate and area. Find a Downingtown, PA gardener on Houzz. Narrow your search in the Professionals section of the website to Downingtown, PA gardeners. You can also look through Downingtown, PA photos to find examples of yards that you like, then contact the Pennsylvania contractor who worked on them.